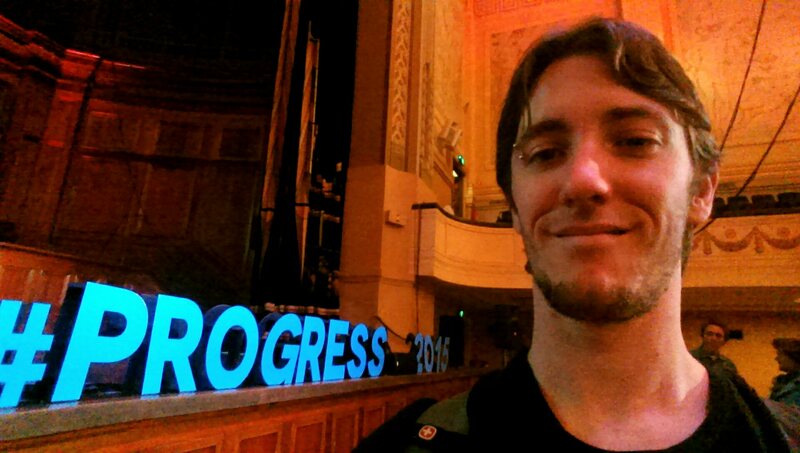 If there’s one thing I took away from #Progress2015, it’s that we need each other. We need to be actively build deep cross-campaign and inter-community relationships. Our causes are all STRONGLY connected and so are our audiences – but we as individual people are not yet, and we need to be. So hi, I’m Luke. I run online comms for a union, consult in online comms for several popular hip hop artists and a heap of causes, and have been managing/admin in online communities since IRC in 1996. I am very interested in the space where online communities and communication meets (positive) real world actions. I’ve got experience in turning people out to gigs/protests/actions, crowd-sourcing for causes (or to get me to Progress! ), obsessively following hashtags with up-to-the-moment live coverage of amazing events overseas when I should be sleeping, developing new friendships//meeting new people online. I met my band partner in my hip hop group Selekt Few​ in a Perth based IRC channel called peenuckle, when I was 14. We met our Dj through an ad he posted on Gumtree a few years ago. My best mate in highschool (and later best man), only actually became my friend after we each realised the other played online games (a big deal in 1999) – before that we had NOT got along. I even met Georgia online, back in 2003 – selling her and her then (sort of) partner tickets to a rave. We got together a little under a year later, have been together ever since and still talk online a lot (even though we live together)! I met most of my closest allies in the activist scene here in Perth online: the crew who came together and organised #OccupyPerth​ in 2011-12, the WA Forest Alliance​ crew, CCWA crew, #noWAsharkcull crew and many others. I’ve been blogging since 2005 and in 2006/07/08 ran a group-blog called “The Olivebranch Network”, which collated the writings of over 35 Iraqi people, writing mostly from inside Iraq. I have met and developed friendships with so many amazing people, from the comfort of my own home in the most isolated city in the world – Perth, WA. Right now, I’m inspired to network with people. To share my skills, networks and resources with people who will put them to good use. I’ve been doing it quite a lot over recent years; sharing my skills with people for free. It’s actually a liberating and rewarding experience. Rich relationships are built when people collaborate, trust, and pay it forward, and it’s those rich relationships that I think are the most powerful resource an organiser, activist, creative or indeed any person can have. So now you know a bit about who I am and what experiences I’ve got – who wants to share some of their own? ps: I was reading Amanda Palmer’s “The Art of Asking” on the flight home from Progress, I highly recommend it for a good boost of hope in the human race. Next Next post: It’s time – Shift the Rock (like Gough).